At Booksoarus, apart from the blog posts that we write, we have also been formally mentoring writers (who’ve approached us proactively for coaching and consulting) and thought it was a good time we write an article on it so more aspiring authors can polish their work before they approach literary agents and publishers in India and abroad. Writing Coaches are typically objective third-party professionals who read your work at a micro level, form an opinion, give you honest feedback and make suggestions that will benefit your writing . According to The Oxford dictionary, the word ‘objective’ means: not influenced by personal feelings or opinions in considering and representing facts. That is exactly the kind of opinion you need for your work. Face it, when you take your work to a family member or friend, especially somebody who cares about you, their feelings are going to get in the way. They might not want to hurt you and might sugar coat their criticism. (Or, they might shed tears of joy and break into a dance while singing, “Mera beta author banega!”) Or a particular nasty aunt might tell you that you have inherited your mother’s genetic composition and therefore have no talent whatsoever. Ah, now you know what I mean? Bottom-line: Not objective. Somebody who is a voracious reader with an eye for detail might be able to give you the feedback that you are looking for. But, the same feedback could be incomplete because feedback without corrective action and suggestions to improve its quality is of no use to anybody. For instance, a close friend (a finance professional who meant well) read my work and told me, “You need to flesh out this character.” Great. But, neither he nor I (at that point in time) knew what “flesh out” actually meant. It was just a fancy (clichéd) terminology that is often used. So, how does one “flesh out” a character? These are aspects of writing craft – a body of study in itself and it requires more than a chacha, a mama or a well-meaning friend to help you. What else do book writing consultants do? You could be a teacher or a counselor who might want to pen your experiences about educating children or you might have insights about parenting – something new you tried and something that worked. Or you could be a doctor who wants to write a self-help book. You might have a great story idea but you don’t entirely know how to take it forward. You stumble with words, you miss self-set writing deadlines, you don’t what’s going to happen next, your characters are mouthing inane dialogues…You’re struggling. But, you want to persist. Whichever genre you are writing in, you might have the ideas and the experience and you may be entirely serious about your writing. But, you realize that you do not have the time or you are unable to articulate your ideas on paper. You, my friend, need a mentor. A book mentor not only asks the questions (as above) but is committed towards taking your work to a logical conclusion and helps you achieve the (realistic) vision goal that you have set for yourself. Note: For the purpose of this post, I have used the terminologies “writing coach” and “mentor” interchangeably although in some contexts there may be differences between the two. There are opinions that a mentor is “more than” a coach in terms of involvement. At Booksoarus, you can call us anything (parliamentary, please) and you are going to get the same high level of involvement. Nice article ! appreciate your thoughts. Would like to discuss with you and need your advise on my first writing venture. Thank you for reading our posts and liking them. We’d be happy to help in any way that we can. 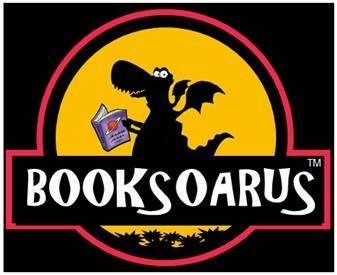 Please do write to us at info [at] booksoarus [dot] com giving us information about your proposed body of work. We’ll take it forward from there. Hi I would like a writing coach to help me write my book – could someone contact me please? Lavanya has shared the email ID just above your comment. Send us details of your book and what specific help you are looking for. We’ll let you know if we can help or not. I am looking for a n editor for my book of fiction which I just finished writing. Is there a difference between a mentor and and an editor? Nissar, yes there is a difference. An editor’s task is more focussed – starting with the manuscript that you’ve already completed and polishing it. A mentor’s role is broader, as explained in the article above. Depending on the author’s requirements, we’ve been playing both roles. I already got a response from your team that you are not taking up any new requests. Does anyone else provide services similar to this. I just need you to give my manuscript a quick read and let me know whether it is worth salvaging at all. As my manuscript of 80000+ words of fiction does not seem to impress the publishers enough, I need to ascertain whether it has any real potential for ever making the grade. There seems to be a whole Industry in existence, pampering hurt egos. This appeal is an effort to elude them. With your expertise and insight, I expect, a quick read should resolve the question realistically.